Study in Oxford starts long before the first arrival to the university. Yesterday I received access to the intranet website with pre-course study and information. It will take a lot of work, as even the preliminary reading list counts about two dozen of articles and a couple of books, and not the lists are ready yet for all classes. I knew that the study will start from a course on general management, but now it looks like general management will be completely self-study, as there is no general management class in the timetable, but there is an announcement about some assessment for that course within Module 1. Also it is possible that general management classes do exist, but have other names. All lectures in the module have their own names, and it is not clear now how they relate to formal courses and exams. I expect to see that later, when the information about assessments is published. I am afraid that, taking into account the current state of the timetable, this assessment can be held only in the night. The timetable for the first module looks as follows: it will start on Sunday, 19th of January, and end on Saturday, 25th. On Sunday we have some social events that end with a dinner. The main part of the module lasts from Monday to Friday. Every day starts at 8:30 and is packed with classes and events until dinner at 19:00 or 19:30. After choosing a college, the process of preparation for study increases its pace sharply. In the last 10 days I have received a contract with the business school, application form for the college, contacts of my mentor in the business school, a letter for the embassy (to apply for a visa) and some other messages and requests. Most of those documents were just organisational steps, but a couple of facts are worth mentioning in detail. Unfortunately, as the study is part-time, my visa will be of the ‘student visitor’ category. This type of visa does not give one the right to stay permanently or even work in the UK. I have no idea why I would do that, but it would be something like a new degree of freedom: one more country open for business, and I value such things per se, even without any plan to use them. The other interesting step was my mentor, who appointed last week. Now, for the first time, I could ask him what mentors do in general. So now I can describe it here. The idea is that the mentor is a person who studied on the programme and can answer any of your questions: what should you think about, who is who among the faculty and subjects and other things on your study. Probably, when the study starts, I will have many other sources of information, but now it is a great chance, and I am in the process of creating a long list of questions. I have just received the confirmation that Keble has offered me membership. It was the first college in my list, so I am completely happy with the state of things in this affairs. Choose a college not far from the business school. This excluded several colleges from the list, but not many. Choose an old and beautiful college. It is not a part of your study, it is more a part of your feelings from the study, so why not making it memorable. It was the exact reason for my choice from a short list of colleges. Choose a college that offers the courses you are interested in. It is strange, but the college guide for MBA students does not include this information. However, it can be found on the Oxford’s website in the section for undergraduates. Choose a college with majority of undergraduates. The explanations were always vague, but this idea was promoted by the most experienced people among those I asked, so I just have taken it on trust. 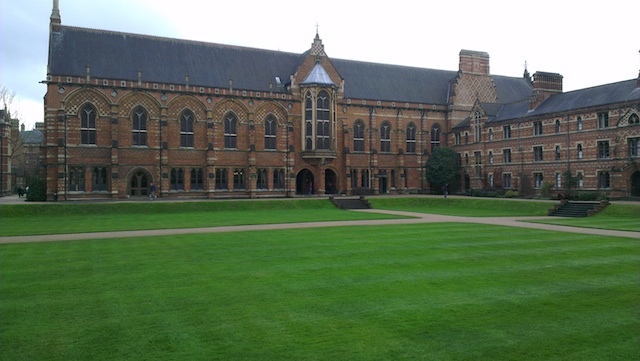 My choice was Keble. Old and beautiful; not next to the business school, but not too far; offers my courses; has majority of undergraduates and a couple of dozens of MBA students. Will see what it means in practice. 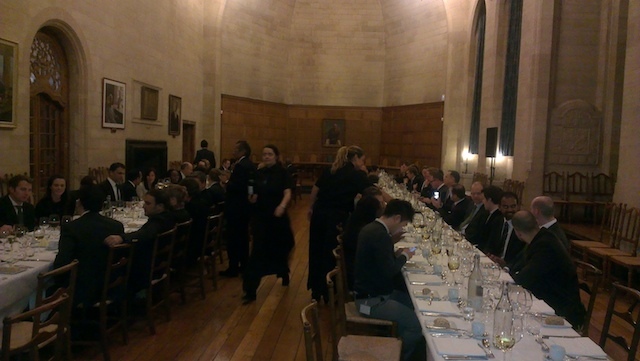 A week ago, I visited an event of Said Business School for those applying for EMBA. A little bit late for me, as I had already been admitted, but at the meeting I could ask some questions. One of them was about the acceptance rate. The official version is that they have roughly 200 applications for 70 places, which means 35%. To be honest, I believe that the rate is overstated, and the real rate falls between 40 and 50%. The reason for the doubt is that the acceptance rate of 25-30% is typical for American business schools, and their European peers usually have a higher rate. 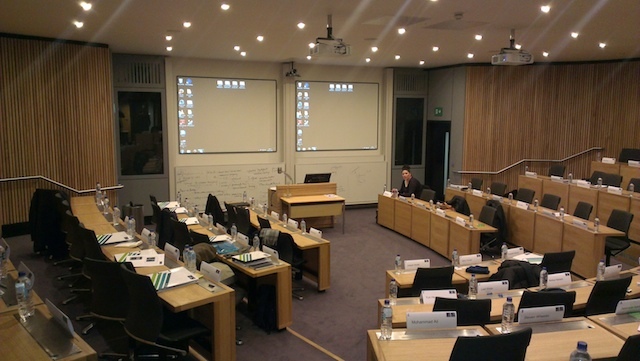 Even so, Oxford is a fast growing school, and its EMBA programme has a good rating, so that result could be plausible. 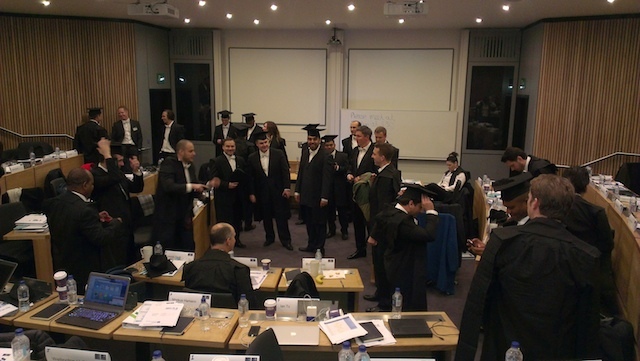 The acceptance rate is usually published for the regular MBA in the US. It looks like the publications there are mandatory and audited, as all business schools participate in the process. However, even if the numbers are correct, their meaning can be misleading. To explain that, let’s compare the two cases that I know personally: the CFA exam and entering an MBA. The person taking the CFA exam passes or gets nothing. There is no alternative result, and in that case for the 40% pass rate there are 60% who lose. The pass rate explains the difficulty rate of the exam for those, who expect to take the exam. In the case of an MBA, you can apply to 2, 5 or 10 business schools, the cost of each attempt is about $100 and one additional day of your time. The admission criteria are deliberately vague and nobody knows their chance, so why not try? As a result, the average number of applications per student is somewhere between 3 and 5, and the acceptance rates must be multiplied by this number. The acceptance rate of 20% means that 60-100% of the applicants were accepted by one of the schools. Everyone is a winner in this case. Moreover, most applicants apply to at least one of the top business schools, even if they have almost no chance of being accepted. That boosts the visible competition in those schools beyond the clouds. Therefore, those beautiful numbers of acceptance rates less than 10% reflect the business school’s status, but not the level of real competition. A good beginning for a blog. I have just received a message from the Oxford Said Business School Admissions Committee. They offered me a place on the Executive MBA program. Together with our plans to start active sales in Germany this opens a new stage in my life, so there will be a lot to write about. It will be helpful also in order to collect my thoughts and practice my English writing that I will have to do a lot in the coming two years.